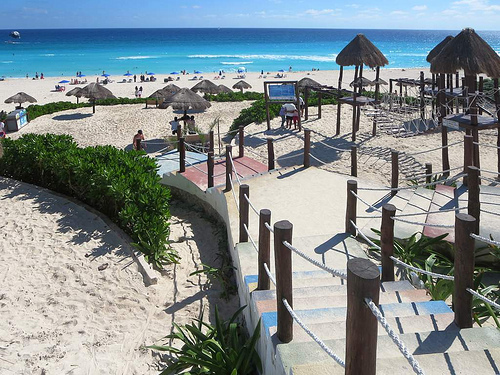 A good fare to Cancun. 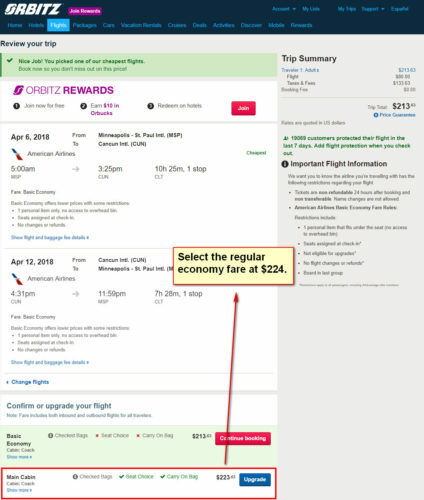 The regular economy fare at $224 allows for a normal size carry-on and a personal item in addition to advanced seat assignment. The $214 fare is a Basic Economy fare. American’s Basic Economy fares do not allow for any advanced seat assignment. Rather, your seat assignment will be randomly assigned during check-in. In addition, normal size carry-on that does not fit under the seat is charged a $25 fee each way (but free if you have an American co-branded credit card or if you have American elite status). 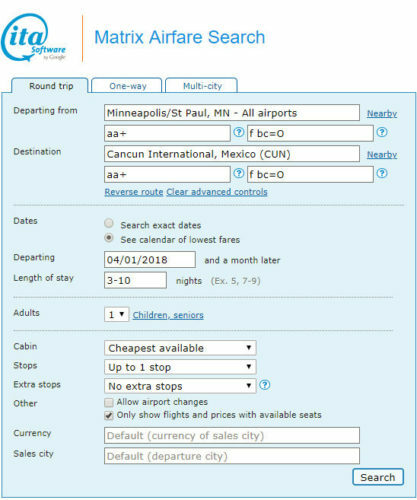 Valid for travel from early-April 2018 – mid-May 2018 and from late-October 2018 – mid-December 2018. Must purchase at least 21 days in advance of departure. Select the $214 Basic Economy fare after which you will have the option to upgrade to the $224 regular economy fare.